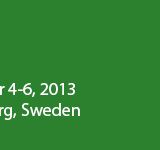 The DDI conference is linked to a special pre-workshop which will take place on Tuesday September 3, 2013. Please note that you do not have to attend the conference to attend the workshop, it is open for all! You only use the same registration form as for the conference. The aim of this workshop is to discuss the potential of naturalistic cycling analysis to improve traffic safety. 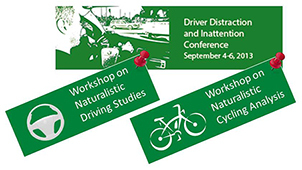 This workshop comprises of two parts: In the first part, current naturalistic cycling studies will be presented. In the second part, different research questions will be discussed and prioritized to suggest how naturalistic cycling analyses may tackle bicycle safety issues, such as single-bicycle accidents and conflicts at intersections. Sponsored by: Vinnova, Trafikverket, Strategic Funding for Transport at Chalmers and SAFER. Fee: Free of charge registration but with mandatory registration. The workshop will end with a light dinner. For whom? : Open for all, no need for registration to the DDI conference.